It’s time for another delicious edition of #WhatscookinWednesday. This week’s recipe is a real treat, courtesy of bravoforpaleo.com. If you’ve ever tried to make kale chips you are probably familiar with soggy slabs of kale, or krispy burnt greens! Today’s recipe will save the day! 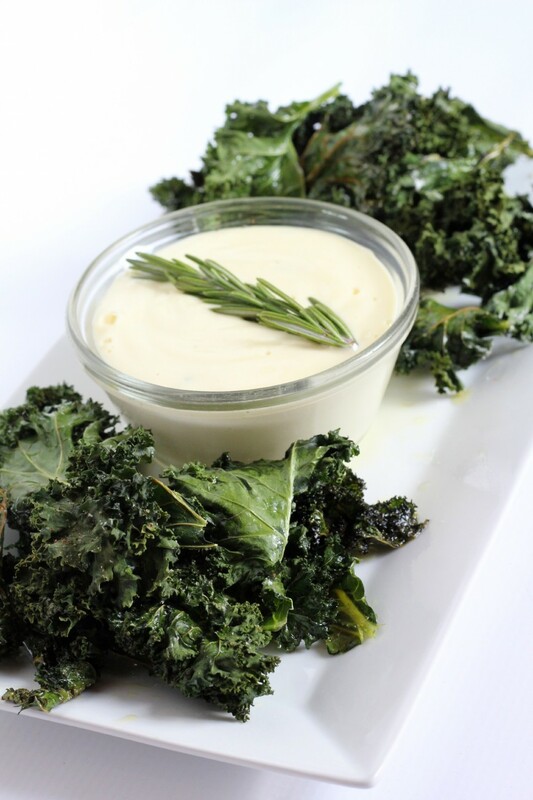 Paleo Garlic Aioli is a delicious homemade garlicy dip, filled with garlic, rosemary and lemon! Place room temperature egg, lemon juice, and mustard powder in a food processor or blender. Blend or pulse until frothy (2-3 pulses). This is the important step. Take your time or you will mess up the recipe. I put the avocado and olive oil in the same bowl after measuring. Slowly add the oil mixture tablespoon by tablespoon while the blender or food processor is on. Once you have added about 1/3-1/2 cup of the oil you can pour it in quicker. This step should take 2-3 minutes. I use the small hole feature on top of the food processor. Now you should have mayo. Add the garlic and rosemary into the blender or food processor and pulse until combined well. Serve with chips for dipping!